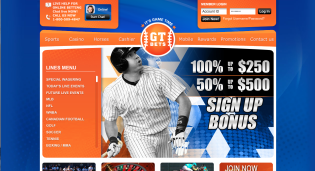 Gtbets are one of the newer online betting sites that are open to American players. 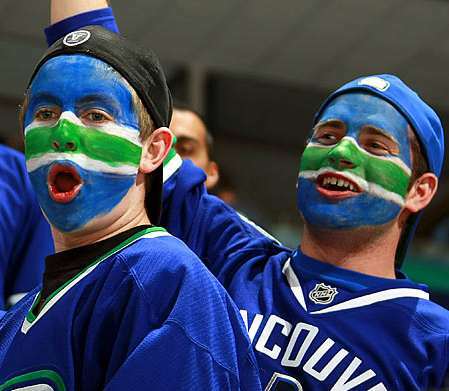 Formed in 2011 they focus solely on sports popular in North America. They offer 2 bonuses both with low rollover requirements and are one of the top options for small to medium bettors in America. They have a flawless reputation and process cashouts in a fast and efficient manner. 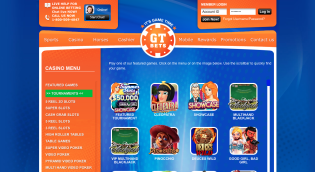 GT Bets is a relative newcomer to the online betting scene that opened in 2011. The company makes it clear that it is a sportsbook for the recreational player only and is not at all interested in accepting action from sharps, going as far to state in its terms that “management reserves the right to confiscate bonus and all winnings associated if play is deemed as non-recreational”. 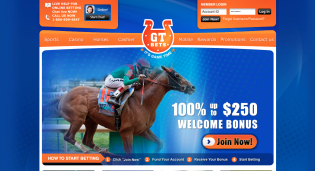 While GT Bets is a US friendly book, it is also doing all it can to avoid any potential legal problems with the United States, prohibiting bettors from Kentucky, Louisiana, Maryland, Missouri, New York, Oregon, and Washington from joining. A number of their employees came from the VIP family of sportsbooks (VIP Sports, Bet GameDay, NINE) when VIP shut down on Aug. 1, 2011. They also acquired software and hardware from VIP. While a separate entity from the old VIP group, GTBets did make a showing of good faith by honoring the balances of those players who failed to request their final balances from the VIP group before the cut-off date. It has has been straight up in meeting its obligations and paying players since opening its doors, which is something that has carried over from its relationship with the VIP group. When the family of VIP sportsbooks went out of business, players were notified in advance and told to request their account balances; it wasn’t another case of a company shutting down and running for the hills while in possession of player’s funds. The fact that GT Bets honored the balances of VIP’s players, even though they are a different company, says quite a bit about the people running the operation. GT Bets offers all of the standard wagering opportunities and not a whole lot more, but few bettors typically venture outside of the usual games and could care less if odds are offered on rugby, darts or table tennis. Futures bets and proposition-type bets are accepted on all of the major sports. Unlike the bigger books 5Dimes and Bookmaker, they even offer a 10-cent line on baseball. They also feature overnight betting, although limits are set at $200. Regular game limits are enough for nearly all bettors, with limits of $5,000 in the NFL and NBA, and $3,000 for college football or basketball, as well as Major League Baseball. Totals limits are $1,000 for everything except the NFL, which is set at $2,000. NHL game limits are $2,000, with $500 maximums on NHL totals. 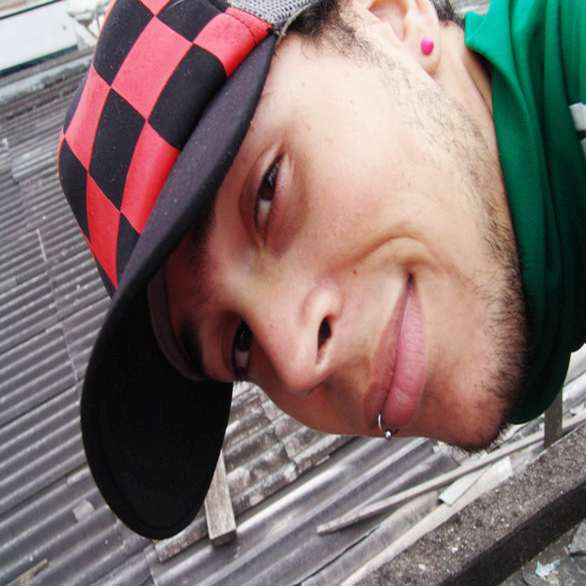 Other sports are capped at $500. Their website is extremely user-friendly, being very easy to navigate and place wagers on. It is exceptionally clean and while it does not have some of the features that other sportsbooks may have, it does an excellent job of serving the purpose it was designed for. 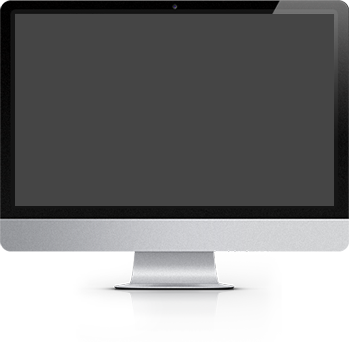 Both online support and phone support are available for any problems or questions. GTBets does a great job with its bonus program, offering 2 different choices for new players. The first is a 100% bonus on an initial deposit of up to $150. The second is a 50% bonus on an initial deposit of up to a max of $500. There are also bonuses for reloads, although those aren’t as clearly defined and have several restrictions. 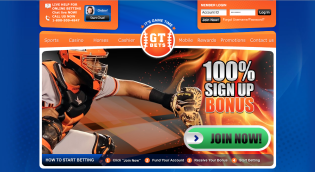 If you sign-up for the GT Bets weekly newsletter you will find assorted bonuses and promotions, ranging from no vig betting to double bonus points and free wagers on some games. The site also offers a favorite team bonus, where bettors pick their two favorite NFL, NBA, and college football and basketball teams. Bettors will then receive a free point in the college games and a half-point in the pro games anytime they wager on one of their favorite teams. GTBets only accepts a few methods of deposits; credit card, Direct Cash, and Quick Cash. The deposits page says credit card deposits are free, although the terms state that you may be charged a 1% to 3% fee. Withdraw requests have to be made Monday through Friday between 10 a.m. and 4 p.m. EST. Payout options include bank wire, which carries a $60 fee, or Direct Cash or Quick Cash, both of which carry a minimum $50 fee and have limits of $1,000 and $850 respectively. Players may only make one withdraw request every seven days. It often takes time to build a solid reputation in the world of online sportsbooks and GT Bets is doing all of the right things to make sure that happens. The people in charge have shown what they’re made of by choosing to pay the players from VIP group, rather than stiffing them like so many other books have done. The companies policy on non-recreational players makes it clear that they are probably not the best choice for everybody, but they are a solid choice for the majority of betting fans. If you like me like to bet parlays and other long odd shots, as well as your home teams, then these guys offer great value. The bonuses on offer are generous with fair play-through terms and overall they’re a company who I feel very safe keeping my money with.